Dragon Ball Z is a Japanese anime television series produced by Toei Animation. Dragon Ball Z is the sequel to the Dragon Ball anime and adapts the last 325 chapters of the original 519-chapter Dragon Ball manga series created by Akira Toriyama, that were published from 1988 to 1995 in Weekly Shōnen Jump. Dragon Ball Z follows the adventures of the protagonist Goku who, along with his companions, defends the Earth against an assortment of villains ranging from intergalactic space fighters and conquerors, unnaturally powerful androids and nearly indestructible magical creatures. 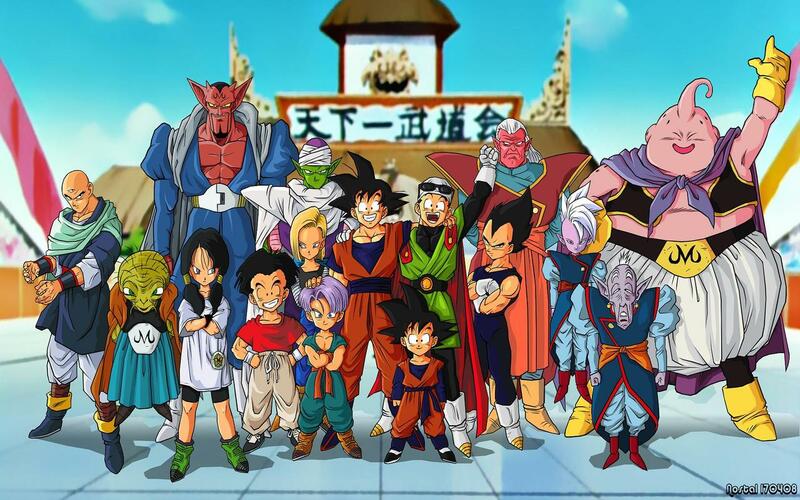 While the original Dragon Ball anime followed Goku from his childhood into adulthood, Dragon Ball Z is a continuation of his adult life, but at the same time parallels the maturation of his sons, Gohan and Goten, as well as the evolution of his rivals Piccolo and Vegeta from enemies into allies. This tag should be used for questions that concern only the Dragon Ball Z anime (The sequel to Dragon Ball, having 291 episodes), the corresponding part of the manga or the Dragon Ball Z movies. If the question concerns Dragon Ball, dragon-ball tag should be used since it was a prequel to this anime or if it concerns Dragonball GT, dragonball-gt should be used since it is anime-original content not and from the Dragon Ball manga.